The ancient Romans believed that wearing strong smelling flowers will protect them from evil spirits. Even the English felt that they will be saved from plague. In the Victorian times, lovers used to send secret messages hidden in bouquets. Red roses are used to express love. Freesia is used to represent trust and a fern stands for sincerity. 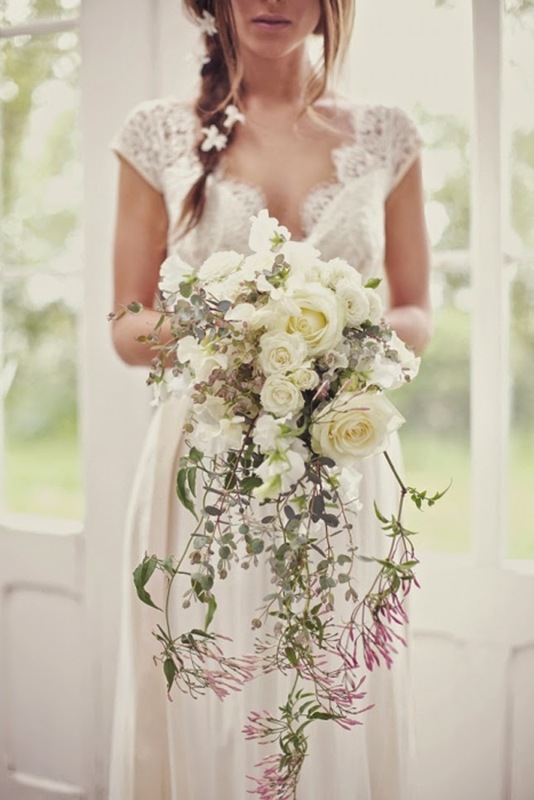 Apart from flowers, any bouquet can be decorated with ribbons, lace, beads, silk material and so on and so forth. Cascading bouquets are flowing bouquets with flowers cascading below the main portion of the design. 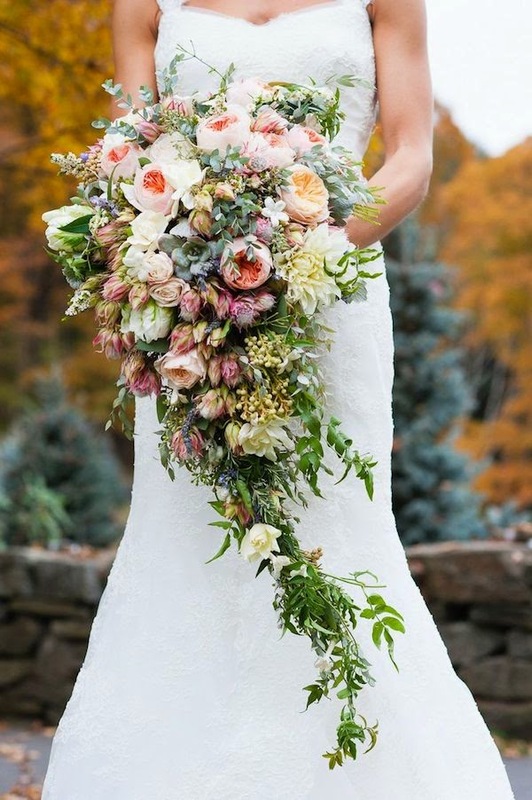 The other names for the cascading bouquets are the teardrop bouquet and the waterfall bridal. The bouquets are rounded at the top and fall to a point. There are many online galleries which show pictures of cascading bouquets, bridal bouquets, wedding flowers, floral decorations, reception decorations and so on and so forth. Some of the photos are provided by the bridal flower consultants and some of the photos are gracefully donated by the bride itself. 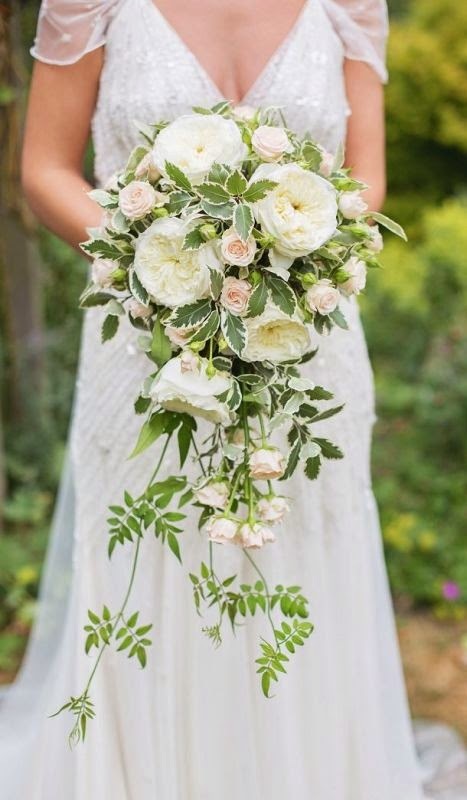 Without bouquets, no wedding is complete - be it a church wedding or a seaside wedding or any traditional wedding. Most of the Christian weddings use the classic bouquet measuring a sizable 26 - 36 '' long x 15'' across x 3'' deep. This white bouquet is trimmed in lace with fabric-covered candle. Flowers like rose, lilies, orchids, rosebuds, leather leaf fern, English Ivy and white gladioli are used to create a cascading wonder. For weddings in the evenings, especially at nights, little bright colored bouquets are used. Brighter roses, other lilies, English Ivy, leather leaf fern, beads and ribbons are used for the same. Hand-tied wedding bouquets are similar to the arm bouquets; the only difference is the presentation. Any flower can be used to hand-tied wedding bouquets but with a ribbon wrapped around the stem and a bow is compulsory. For autumn weddings, the flowers like gerberas, roses, daisies, marigold and sunflowers can be selected. The bouquets can have hypericum berries as well. Silk wedding bouquets are also quite famous theses days. 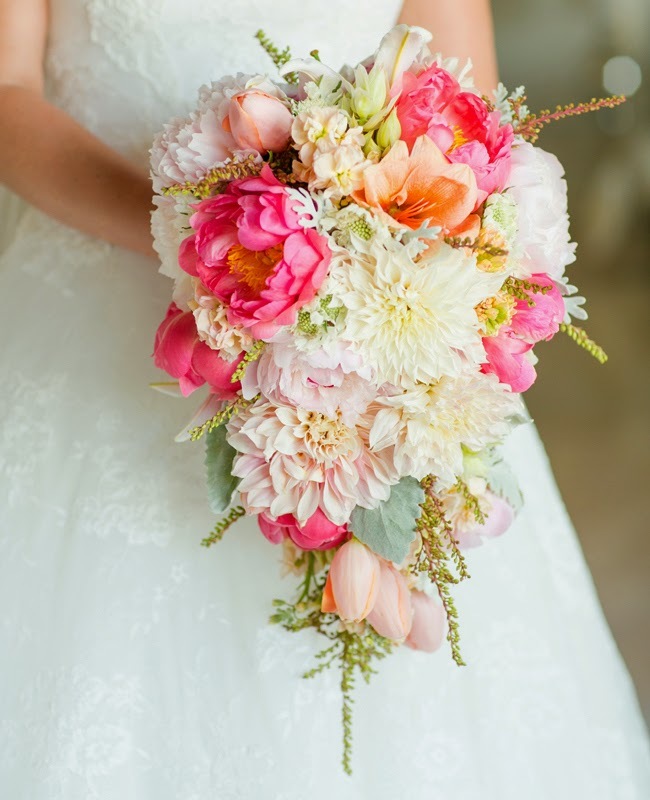 This bouquet is for the daring and unusual bride. It is decorated with blue roses encircled with calla leaves and several peacock feathers. For Hawaiian weddings a grand cascading assorted bouquet with roses, carnations, tulips, sunflowers and a variety of mixed greens are used. Simple rose bouquet with fresh roses and assorted mixed green can have a wonderful combination. The roses can be changed to fit to the client's taste. Designer's choice bouquets are little cheaper than the cascading bouquets. It can be made with purple and white orchids and tiger lilies; hence it is cheaper than the normal bouquets.